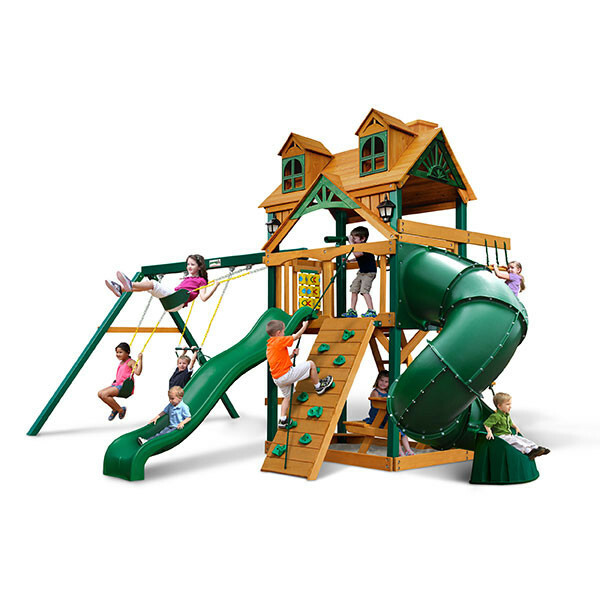 New for 2015, the Gorilla Playsets Malibu Extreme will keep your kids extremely busy for hours. It has all of the most popular features that kids love including a rock climbing wall, rope ladder, cool wave slide, and the Extreme tube slide. 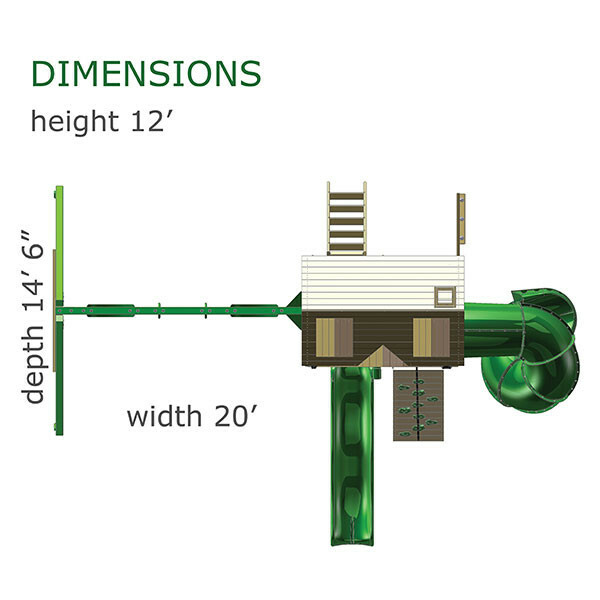 The three position swing beam is equipped with 2 belt swings and a trapeze swing for monkeys in the family. Underneath the platform is a picnic table for relaxing and an area for a sandbox. 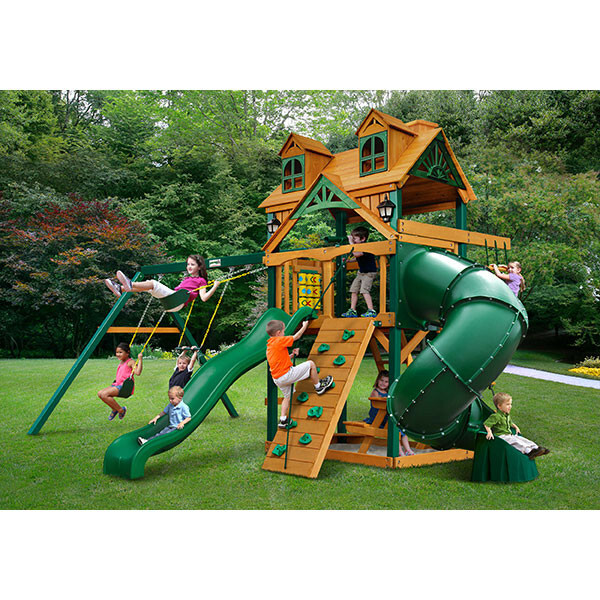 When kids climb up to the 5 foot high platform they will find even more adventure with the play telescope, steering wheel and tic-tac-toe panel. All of this is situated under the attractive wooden roof that features the newly designed decorative sunbursts and the dormers with decorative windows. Another new addition are the neat solar wall lights on either side of the playhouse. 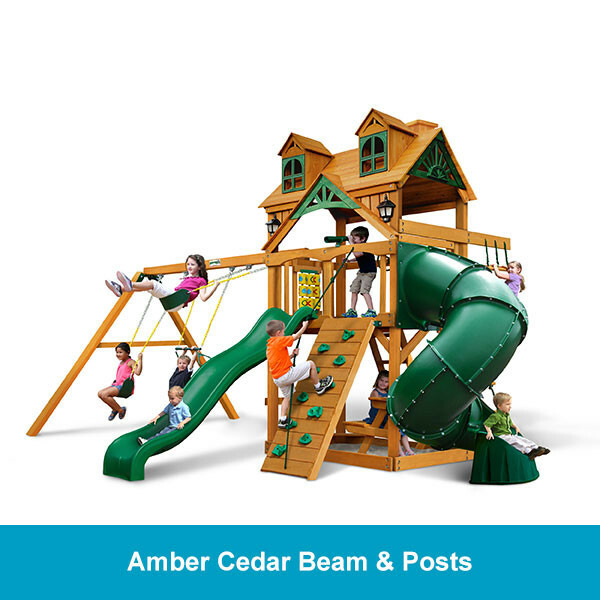 The Malibu Extreme is a sturdy, wooden swing set that is ready-to-assemble with all of the necessary hardware, lumber, and accessories included.